EXCLUSIVE! But most of us don't want 100,000 answers. We want one answer- the right one. 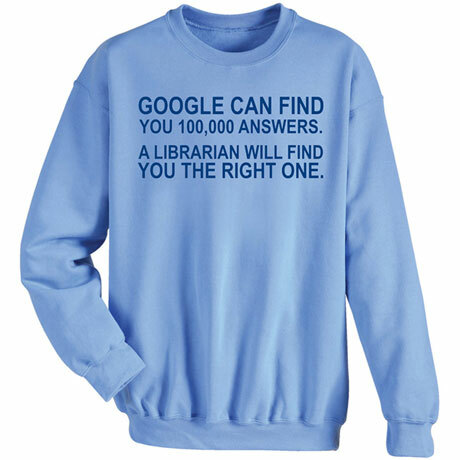 And that's why Heaven made librarians and we still need them. Light blue sweatshirt is 50/50 cotton-poly; T-shirt is preshrunk 100% cotton. Sizes S-3XL. Imported.